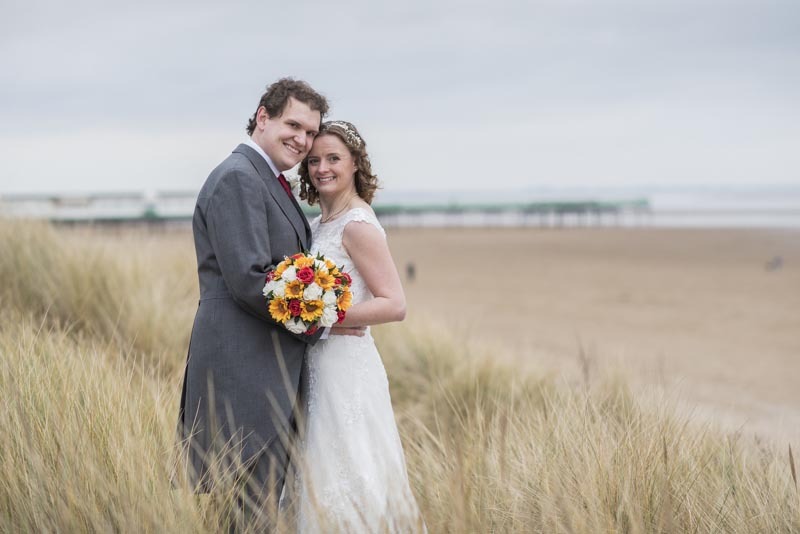 …And 3 other reasons Michelle & Grant’s St Annes wedding photography was a joy. Motifs are the recurring themes or tropes an artist or photographer might use in their images. I like motifs because they connect images in subtle (and sometimes not so subtle) ways, making a project feel ‘joined up’ rather than simply a collection of photographs. 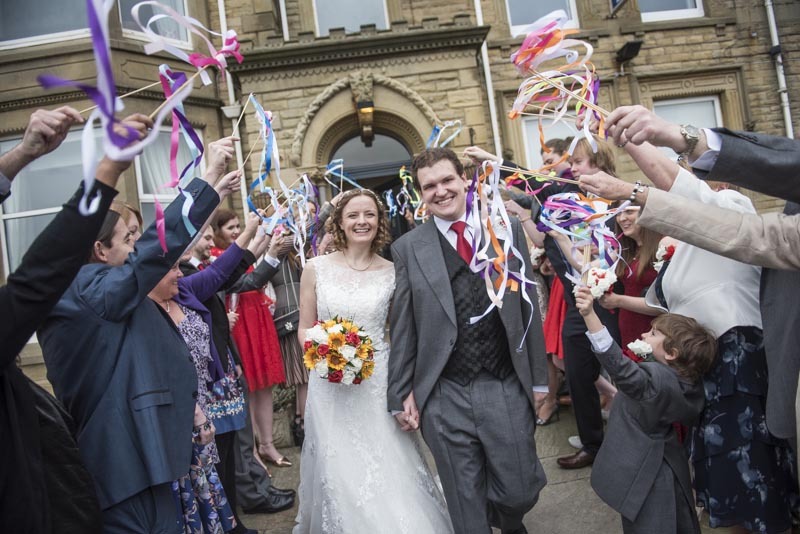 Take Michelle and Grant’s wedding photography in Lytham St Annes. 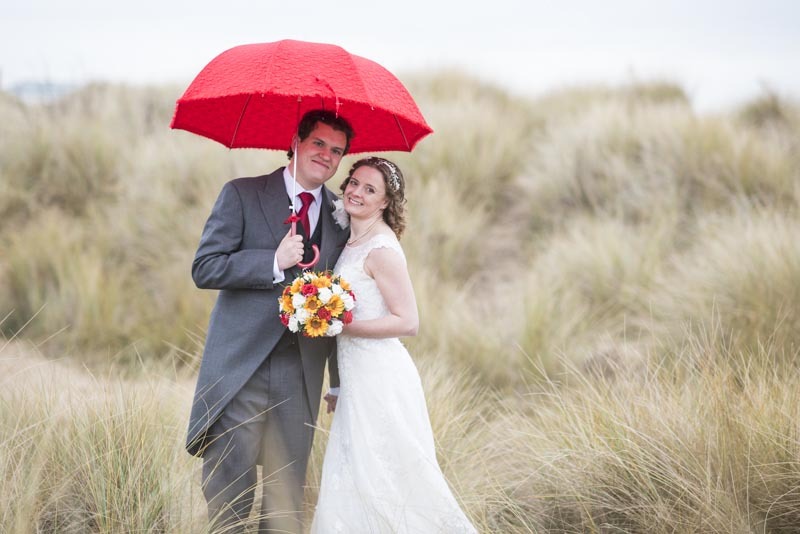 They had chosen red as a key colour of the wedding – it’s in Michelle’s bouquet and shoes, in the bridesmaids’ dresses and in Grant’s tie – so when the time came to capture some outdoor shots on a drizzly February day, the colour choice for the umbrella was a simple one. What’s great about the umbrella image is that the red motif turns a potentially gloomy shot into something fun and exuberant – one that uses the chilly, rather dull conditions as an excuse to do something that makes you smile. I know it was their wedding day and you’d expect them to be all smiles, but particular thanks to them for being such great subjects in challenging weather. This part of the Fylde coast is just great for wedding photography. Whether it’s glorious sunshine, relentless drizzle or thick cloud, take sand, sea and spiky marram grass and you’ll always have the backdrop to an atmospheric shot. 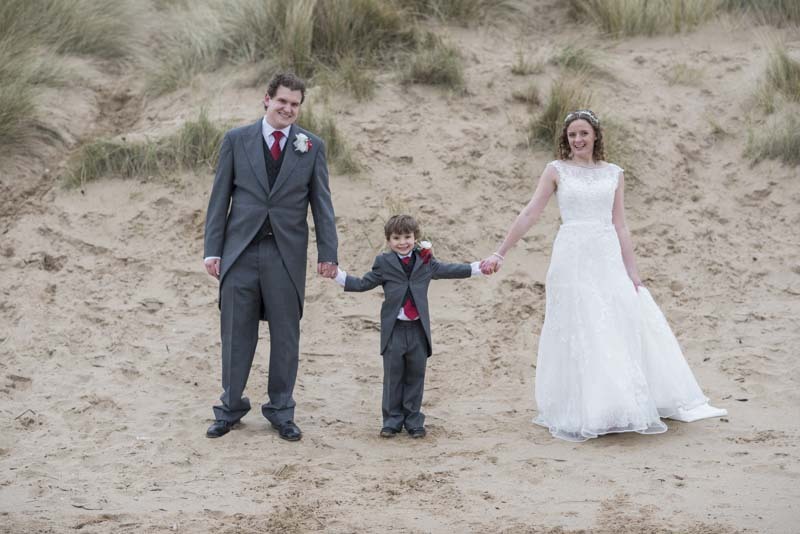 Michelle and Grant had a civil ceremony at the Glendower Hotel (opposite those fabulous sand dunes). For me, the beauty of a civil ceremony is there’s far less rushing about, and no risk of losing people between church and reception. For your St Annes wedding photography, it means you get the shots you want, with the people you want, and you’re not racing against time to cram them all in. Planning your wedding? Let’s talk about it here.